We have much in common with wolves. If we understand our similarities, we will be less inclined to fear, hate, and kill this animal. Wolves and humans adapt well to different habitats and climates. Wolves can live most everywhere we do: forests, prairies, tundra, mountains, deserts, and swamps, and they tolerate temperatures of minus 70 to plus 120 degrees Fahrenheit. Wolves once roamed almost all of the Northern Hemisphere. One expert estimates that two million wolves lived in North America when the first boatload of colonists dropped anchor. As humans did, wolves evolved in families, found strength in numbers. Members of any healthy family — human or wolf — assume roles that help the family thrive. Like human parents, the alpha pair makes decisions and controls the pack. Other members contribute to the pack's survival and the care of the pups. Wolves have full emotional lives: they play, show affection, discipline their young, and mourn their dead. Like humans, wolves have different personalities; some are leaders, some are lovers, some are loners. Wolves communicate using scent marks, their voices, and their bodies, Their postures and facial displays express joy, dominance, submission, aggression, or fear. In humans this is called non-verbal communication. Wolves and humans even prefer the same meats. That mutual love for the taste of sheep, cattle, deer, and elk leads to most wolf-human conflicts. We are both territorial. Wolves howl and scent mark to claim territory. We string barbed wire and draw lines on maps. We both fight to keep or take territory. Wolves killing wolves — often in turf wars — is the most common natural cause of wolf death. In a similar way, humans kill many humans in wars. 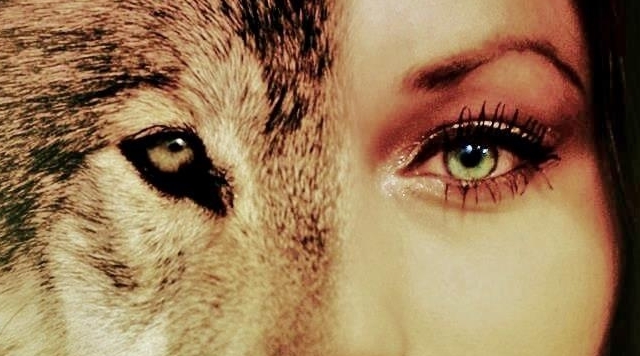 We may be so much like wolves because they were our teachers. When out hunting, early humans surely encountered these efficient predators. Some scientists believe that humans honed their hunting skills by watching wolves. 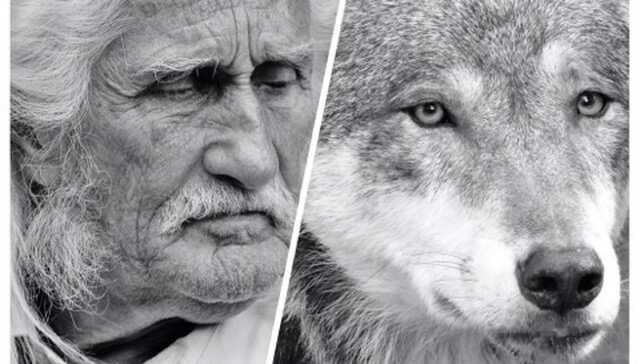 It's possible that early humans learned ways to live in families after observing wolf packs. Wolves and humans have so much in common that we are, in fact, competitive species. Competition drives humans to wage a one-sided war against wolves, using a deadly arsenal including biological and chemical weapons. We have the ability to exterminate all the wolves we find; we have used it — and continue to use it. But wolves can teach us a better way. Consider how they treat their competitor, coyotes. When a wolf pack brings down an elk, each member eats its fill and then moves away to sleep off the meat drunk. As wolves doze, an opportunistic coyote may approach. Wolves may pay no mind, chase the coyote, or kill it. If they kill it, they usually don't eat it; they're just cutting competition. These canid competitors have coexisted like this for thousands of years, with careless coyotes losing lives but the species surviving. We should learn to coexist better with our intelligent, resourceful, and essential competitor, the wolf. Responses to "We're Too Similar To Wolves To Be Afraid Of Them "